The situation: You are in high school and are planning to go to college or technical school. 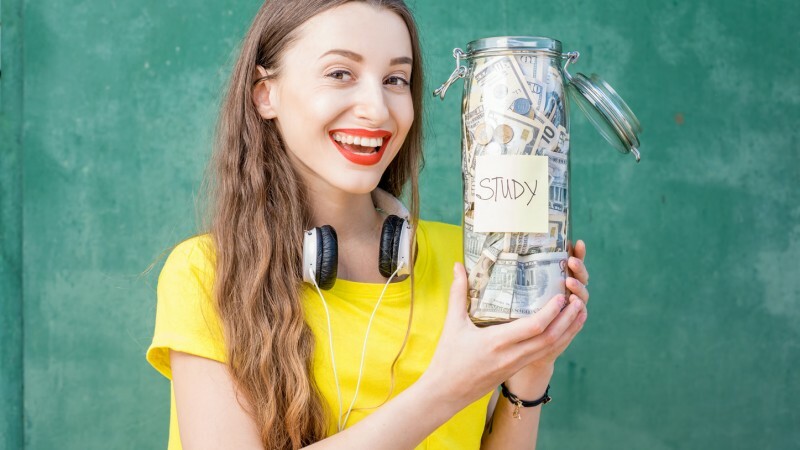 You want to get a head start, planning how you'll pay for school so that you can avoid using student loans or at least, borrowing as little as possible to fund your education. What this page offers: A brief presentation about how to plan for an affordable higher education that matches your goals for college or technical school. It discusses the steps and resources you can use now, before you go to college, to plan how to pay for higher education without going deep into debt. It is possible to go to a school you like and get an excellent education that prepares you for the career or graduate education you plan to pursue—and do it economically. The college experience you envision can be yours without crippling your future with thousands of dollars in student loan debt. To achieve these goals, however, you must plan ahead—and stay flexible. By doing some initial research while you are in high school (or even earlier) you'll have the time to make the most of the resources available to help you not just go to college but pay for it without borrowing big. You don't need to know what you want to study or what career you'd like to persue to start planning for college; in fact, most students don't know. But the sooner you start preparing to succeed in college and planning how to pay for it, the greater your potential success. It's never too early to start saving for college. Many parents (or grandparents) establish dedicated, tax-advantaged savings plans for their children, such as a 529 College Savings Plan or Coverdell Education Savings Account. It's a good idea to talk with your parents about saving for college, the steps they have taken or are planning to take, the ways you plan to save, and how you can work together. Many students today are also personally saving for college. In one survey, 45% of students (ages 16 and 17) had begun saving. Many of those had already saved between $1000 and $5000 to put toward their higher education. Note that many credit unions and banks offer savings accounts for teens that earn higher interest to encourage saving. Saving a certain percentage of the money you earn can result in a sizable nest egg in just a few years. Saving as little as 10% to 20% of your earnings can make a difference; saving 50% of earnings really mounts up. Saving a certain percentage of the money you earn can result in a sizable nest egg in just a few years. Providing home services to neighbors, such as baby sitting, tutoring, pet sitting or dog walking, house watching, running errands, doing yard work, cleaning gutters, helping with large cleaning projects or installing/setting up computers and software programs. Working part time jobs during the school year, such as food service staff, retail clerk, bike delivery, office or personal assistant. Taking a full time summer job such as life guard, camp counselor, retail clerk, food service staff, nanny, tutor, recreation assistant, receptionist at an office or spa. Selling online unwanted or outgrown electronic equipment, sports equipment, toys, clothing and the like. Tip: While you are working on your academic and practical skills, take some time to begin looking at different careers that might fit your interests. Knowing career paths that interest you can help you later identify colleges or technical schools that have the programs of study and majors that fit your interests. StudentAid.gov has a career search tool where you can find info about various career options. Search by occupation, keyword or your general interests. Look for the search boxes at the bottom of the webpage. CareerOneStop.org, developed by the U.S. Department of Labor, provides a variety of tools for researching career options. Check out the career resources at your high school's guidance office. What do developing and improving your academic and practical skills have to do with planning to pay for college? A lot, actually. The better your grades and test scores the more likely you are to be awarded scholarships based on merit. Scholarships are free money—you don't have to pay them back. 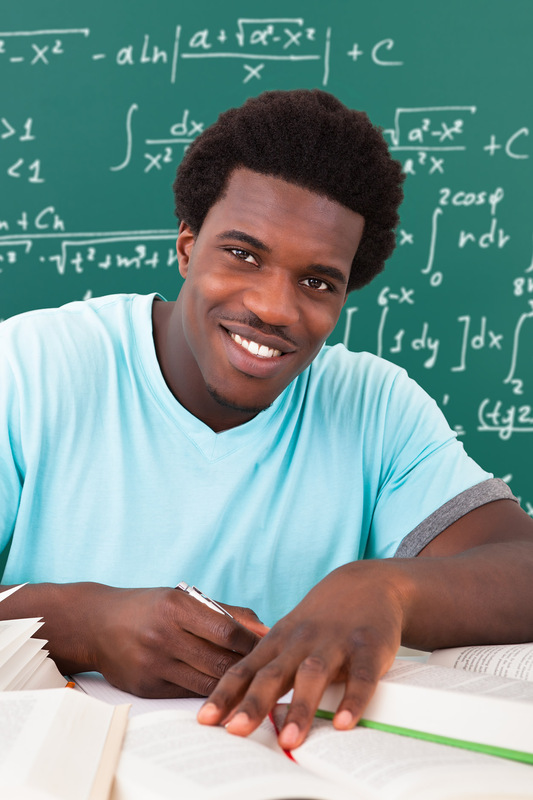 Having solid academic skills also equips you to succeed in college. That means you are less likely to struggle with classes, to have to take remedial classes, to take more time to finish college, or to drop out. All these problems can cost you more money! Having practical money management skills as an independent young adult in college helps you budget your money and spend it wisely. Good time management skills mean you can get your classwork done, have some fun, and still have time to earn some money for school with a work-study job or other part-time employment. The Federal Student Aid website has excellent checklists for each year of high school (and before) that indicate the type of academic and financial skills you should be working on. There are tips for parents, too. For honing your financial skills, check out the various study modules at FoolProofSolo.com. Many types of financial aid—billions of dollars worth—are available to help students go to college. Most students qualify for various kinds of financial aid. You probably qualify as well, but it just won't fall into your lap. To take full advantage of the opportunities you need to learn about all types of aid and whether you may be eligible. A grant is a type of "gift aid" because the money you receive does not have to be paid back unless you do not fulfill the grant's requirements. For example, if you receive a grant for a semester and drop out, you may have to repay the grant money. Most grants are based on financial need. Among federal grants, the Pell Grant is the most common awarded to undergraduates. Federal grants are based on financial need. To get federal aid (and aid from most other sources) you must fill out the Free Application for Federal Student Aid (FAFSA). However, before you do that, you can use the FAFSA4caster to get an early estimate of how much Federal grant aid you may qualify for. Many states also have grant programs to assist students with higher education costs. You can find out more information about your state's grant and scholarship programs by contacting the state agency or agencies responsible for student aid. Use this tool for links to state programs. If you must borrow, avoid private loans. Almost all such loans do not have the repayment flexibility and borrower protections that federal loans do. Go to the "Financial Aid" page on the school's website. Look for eligibility requirements and how and when to apply. Follow up your online search by talking to the school's Financial Aid office. Be sure to do this for all schools to which you plan to apply for admission. Watch Out for Scholarship and Financial Aid Scams and Questionable "Services"
Scholarship scams come in several major types. Most use the Internet to dangle their tempting come-ons—their goal is to get you (or your parents) to "bite" so they can steal your money, your personal financial information and/or your identity. Watch out for these scams and questionable "services." Paying upfront to get a scholarship. The ad or email says that they have a scholarship that you qualify for—all you have to do is send them an upfront "processing" fee of $100, $200 or more. A variant on this scam is "you've won a scholarship sweepstake." The catch is that there's no scholarship. You've just thrown away your money and given them personal financial information (if you paid by credit card). Legitimate scholarships don't charge fees for applying. Hiring a "guaranteed" scholarship search service. There are lots of scholarship services that promise—for a fee as large as $1000—to find scholarships for you. The Federal Trade Commission (FTC) warns that many of these "services" are high pressure sales companies more interested in getting your dollars than actually matching you with scholarships for which you qualify. Promises such as "we guarantee you'll get aid" or pressure "to sign now so you don't miss this opportunity" are red flags. Even if a company is legitimate, the FTC cautions students against paying for a "service" that you can do yourself for free—and probably do a better job, too. If you have been a victim of a scholarship-related fraud, file a complaint with the FTC: ftccomplaintassistant.gov. Each year thousands of scholarships are awarded by all types of private organizations. These range from national corporations and nonprofit foundations to regional and local civic and service clubs and to local businesses and groups. Because these scholarships are private, you have to do some research to identify those for which you may qualify. Experts advise students to apply for multiple scholarships for which they are qualified. The more you apply for, the more likely you are to receive some. Many of these private or "independent" scholarships may be for $500 or $1000 a term or year, but if you qualify and are awarded several (which happens frequently), such amounts can add up. Even a small scholarship award can help. Start early to research private scholarships for which you may qualify. Tenth grade is not too soon. But even if you are a senior, do the research and applications—later is better than never. Compile a list of scholarships for which you are eligible. Note the website and contact information, requirements, and date and procedure for applying. Get your application in on time to each scholarship you've identified. Scholarship Search from CollegeBoard.org—a useful tool from the company you associate with the SAT, PSAT, ACT and other standardized tests. Fastweb.com (created by job search site Monster) and Scholarships.com offer a wide range of listings. On both you will have to create a profile. Be careful not to opt in for any "service" you don't want. We recommend that you not subscribe to emails and the like from these companies; just use their search tools. Federal work study aid comes from the U.S. Department of Education but is administered by individual colleges and universities. Some schools also provide additional school-supported work study programs. Work study gives you an opportunity to work inside or outside the college, often in an area related to your areas of study or career goals. Work study is a convenient way to earn as you learn. Last on your list of sources of financial aid is loans. If you must borrow some funds to attend college, look at your options for loans supported by the federal government. 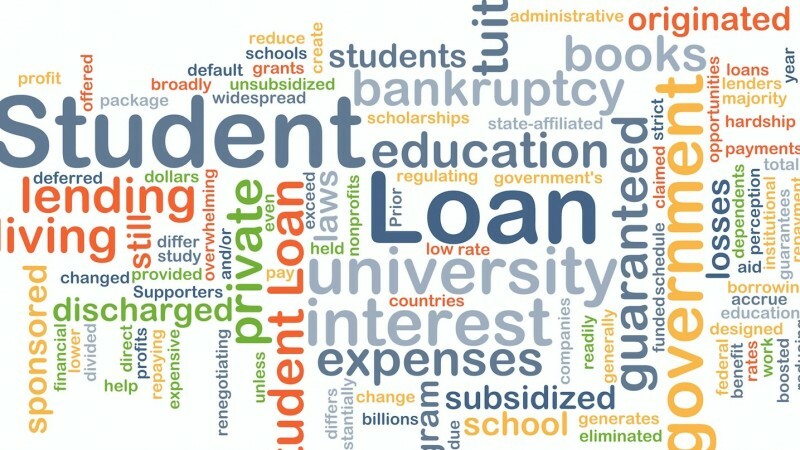 These include Direct Federal Loans, which are administered by the U.S. Department of Education and Perkins Loans, which use federal money but are administered by the individual school. Read more about Federal Direct Loans here. Find out more about Perkins Loans here. An excellent education that engages your mind, builds skills, and sets you on the path to a successful career is available in an affordable college near you. To realize your dreams, you don't have to go to a big name university—public or private. Here are some proven options to consider. Start at a 2-year community college. Community college tuition averages about $2500 a year. Live at home (if possible) to save more money. For your final two years, transfer to a 4-year in-state public college or university or affordable private college. Consider several in-state 4-year colleges and universities. Tuition and other costs are typically much lower than private colleges and universities or out-of-state public universities. Some states also provide grants to state residents to help cover the costs of public in-state colleges (and sometimes in-state private colleges as well). If you have top grades and test scores, check out scholarship opportunities at in-state public colleges and private colleges. The same goes if you have a great creative or athletic talent (and record). Many private schools offer extensive scholarship aid to students who have top academic qualifications and/or have serious financial need. Others don't. Compare costs and financial aid packages at public in-state schools and private institutions. Ever Considered a Two-Year Community College or Four-Year State University? by FoolProof's Will deHoo, offers pointers based on solid research and links to other resources. The bottom line when picking a university: "no debt for our daughter or us" by Michelle Singletary, award-winning, nationally syndicated Washington Post columnist and financial adviser. This column shares how the Singletary's and their daughter arrived at the decision to pick an in-state university. Michelle's daughter Olivia shares her own story of how and why this choice worked out so well for her. An excellent education that engages your mind, builds skills, and sets you on the path to a successful career is available in an affordable college near you. For-profit colleges and career schools differ greatly from public and nonprofit colleges, universities and technical schools. First, they are run by private corporations in order to make a profit for their investors and stockholders. For most, a majority of their income (up to 90%) comes from federal aid, particularly loans. Many use aggressive, misleading tactics to enroll students in their courses without regard for an individual student's ability to succeed in school or to repay loans. The Low-Down on For-Profit Colleges from the National Association for College Admission Counseling (NACAC) provides a variety of resources and news stories. For-Profit Schools, a research paper by Harvard professors David Deming, Claudia Goldin, and Lawrence Katz presents an in-depth discussion supported by sound evidence. All students who apply for federal student aid of any kind must complete the Financial Application for Federal Student Aid, known as FAFSA each year. In addition, many colleges and universities, both public and private, also use FAFSA when making financial aid decisions. So it's a good idea to file your FAFSA as early as possible after the form becomes available. For the 2017-2018 year, the FAFSA form will be available starting October 1, 2016. Many students miss out on free federal grants because they assume that their parents make too much money. Don't make this mistake. Also remember that many colleges and universities also use FAFSA. So don't fall into the myth trap: Read Myths About Financial Aid from the federal student aid website. You will find the online application and the resources you need to complete FAFSA at fafsa.gov. Make a note that the FAFSA must be completed each year that you wish to apply for federal aid. However, after you have completed the form once, updating your information each year is usually an easy task. Tip: Between 300 to 400 competitive colleges also require applicants for financial aid to fill out the CSS/Financial Aid PROFILE, managed by College Board. Never fill this out until the institution you are applying to requires it. Read more about CSS here. As a smart student you should apply for independent scholarships. In addition to applying for admission to the colleges of your choice, you will also want to complete applications for financial aid as soon as possible. Such timely application means that you will note the deadline for financial aid applications for each school to which you apply and get your financial aid application in before that deadline. As a smart student you should apply for independent scholarships, make note of application deadlines and requirements when you research each scholarship. Make sure you get these applications in on time. When you are accepted to a college (and have applied for financial aid), the college will typically offer you a financial aid package. The "package" means that most financial aid offers include more than one type of aid. For example, you may qualify for a federal Pell grant of a certain amount and federal work study. In addition, the school may offer you a partial scholarship and one or more loans. Always look carefully at each of the components in your package. Be sure you understand the requirements and terms for each. For example, a scholarship might be for only one year or renewable if you maintain a certain grade point average. Look carefully at loan offers. If you have determined that you must borrow some money, make sure that it is a direct or Perkins federal loan, not a private loan. If the offered financial aid package means you must borrow a private loan (after maxing out federal loan eligibility) to attend a specific school, it would be smart to consider one of the other schools you have applied to that offers a more affordable option. If you have any questions, discuss them with the school's financial aid office. Make sure that all questions are answered to your satisfaction. If the package doesn't make the school affordable for you, discuss that with the financial aid office to see if they can make adjustments to meet your needs (it never hurts to try). Finally, if you have been accepted at more than one school, carefully compare each financial aid package. Consider both the individual components of the package and which package may save you the most on the overall cost of attending. For example, College A may offer you a larger total amount of aid than College B, but College A's total cost is greater than College B's cost so that the smaller offer from College B actually results in greater savings. In addition, College A's offer includes a fairly large loan, while College B offers a small scholarship, work study and no loan. These factors also make College B look like a better choice. 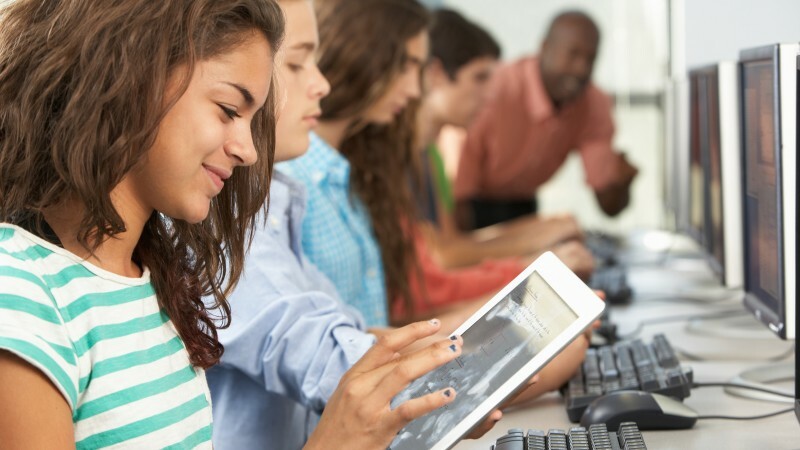 Planning toward college when you are in the ninth or tenth grade may seem a bit much. But you can find the right college at a reasonable cost by taking a little time now to start thinking about and researching potential schools and sources of financial aid. Tip: Know each college's Cost of Attendance (COA). Each college is required by law to provide an estimated Cost of Attendance (COA) for each year. You can find this on the college's website. Total financial aid from all sources can not exceed the institution's COA. This figure is also used in estimating your family's expected contribution and how much aid you qualify for. So make sure you know this important figure.